We developed a novel concept towards the synthesis of nanomaterials, whereby precise size and shape can be monitored during growth in the solid phase. 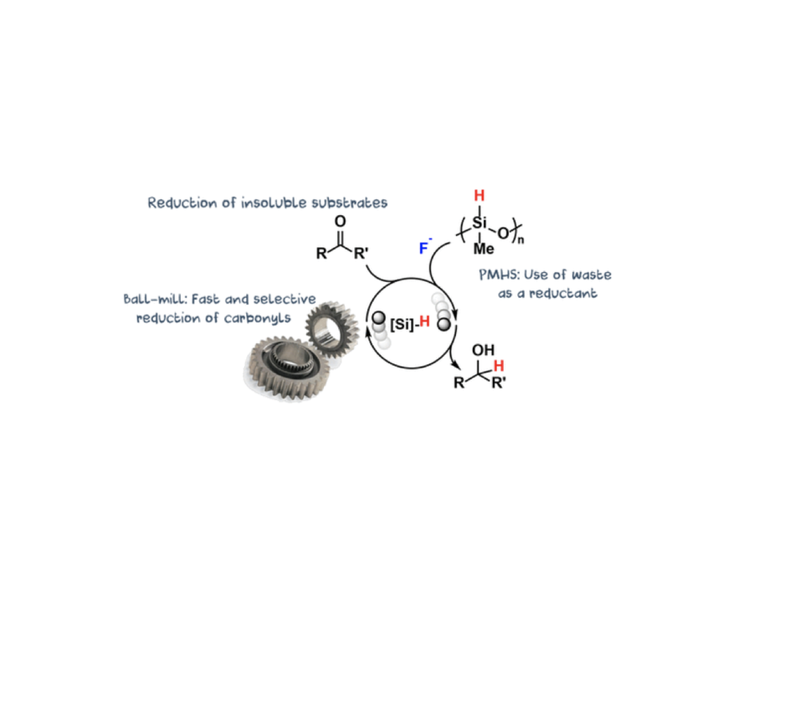 We first reported the synthesis of ultra-small Au NPs, featuring excellent monodispersity and enabling gram-scale production, using ball milling (Rak, Green Chem. 2014). Long chain amines were used as stabilizers and we observed a dependency of the NP size (1-4 nm) on the amine carbon-chain length (C15-18). These NPs are an order of magnitude smaller than conventional solvent-based synthesized NPs with this ligand, meaning we opened a route to unique materials, not accessible otherwise. This approach was extended to the design of polymer embedded NPs. Using lignin as a biomass-based reducer and support, we produced Pd, Ru, Re and Rh NPs (Rak, Faraday Discuss. 2014). With Ag, we fabricated a very efficient antibacterial filter, able to kill in less than a minute five strains of bacteria (Rak, RSC Adv. 2016). Finally Bi2S3 NPs were easily synthesized by mechanochemical activation from molecular precursors and cysteine as a sulfur source, followed by aging to afford X-ray active materials, applicable to cancer detection (Malca, Chem. Mater. 2017). By changing the ligand used, we could make directly, in one step, water or organo-suspendable NPs, or even polyethyleneglycol functionalized NPs. This novel design was highlighted by ChemistryViews.org, the outreach website of Wiley. This approach drastically suppresses the need for solvent and strong reducing agents, with minimal energy consumption, but also opens an avenue for the study of NP nucleation in the solid phase.